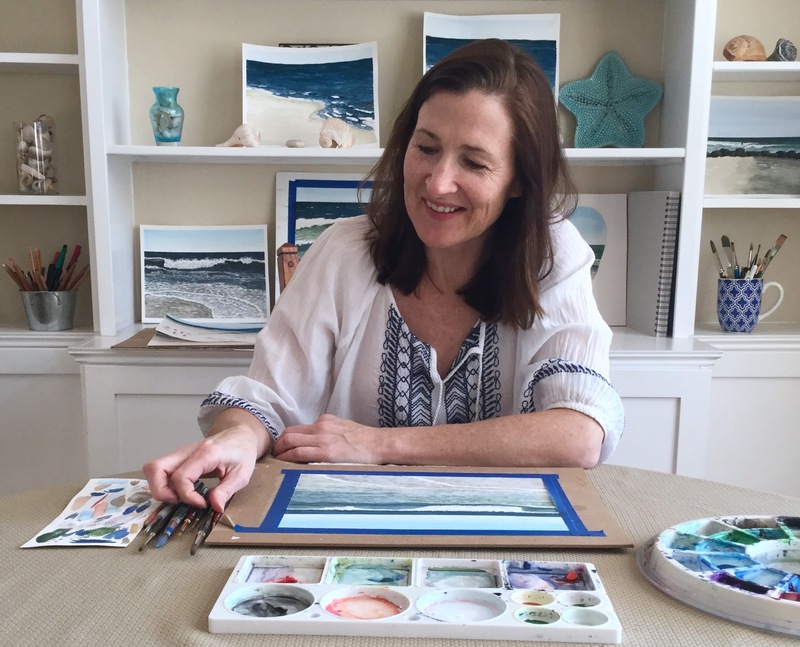 Is my astrological sign affecting my painting? I decided to search online, for traits that apply to my sign, Aries. I’m not that into astrology, but I couldn’t believe how dead on the description of Aries (on Huffington Post) was. That is totally me! Whenever, I try to put something together, and hit a snag, my husband will say, “Did you read the directions?” I, of course, am like, directions? Who needs those?! Obviously me, that’s why I’ve hit a snag! The part about starting projects, but then moving on, really hit home. Since I started mycreativeresolution.com, I’ve been forcing myself to finish projects and it has been really satisfying. For me, the “Ready, fire, aim!” motto, is so true, and may be the reason, I had all those unfinished paintings. I start a project, but get to a point, where I’m not sure how to finish. Instead of working through it, I put the project aside. This just reaffirms how important “a plan” is (and yes honey, those instructions). I will no longer, step away from a painting, without thinking about what the next steps are. 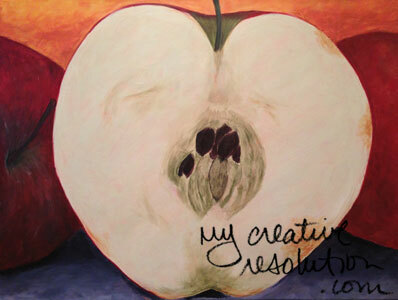 Today, I finished my apple painting. Words can’t describe how good it feels. I was a little nervous finishing, because I felt so close, and I didn’t want to ruin it. But, I had a plan (to add paint to the stem and the area behind the stem) and I executed it. Yeah me! I also started the jellyfish painting, that I’ve been planning, since I took this photo. 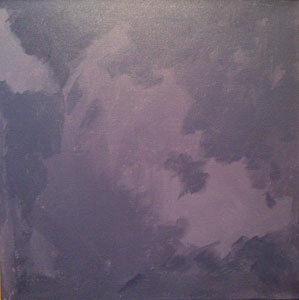 I covered the canvas in a medium tone blue/purple. 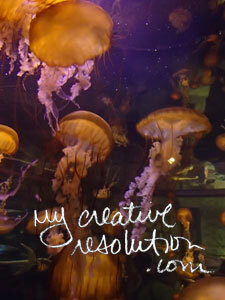 The plan for next time is, to sketch in (with paint) the jellyfish and then add the water around them. I’m excited! Enjoy! Let me know if anything rings true for you! 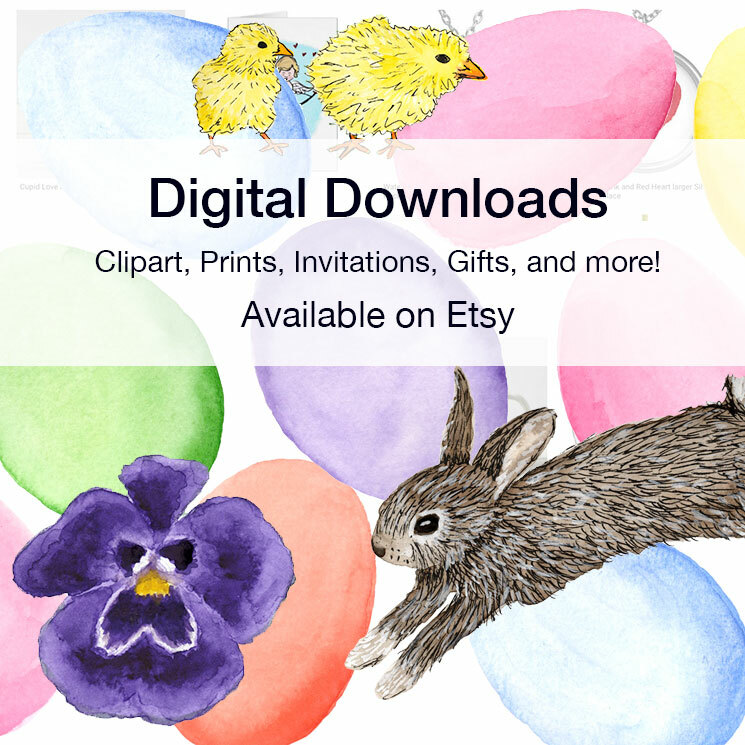 Categories: Acrylic, Painting | Tags: acrylic, Art, astrology, finishing projects, paint, painting, painting fruit, unfinished projects | Permalink.